MAMULA ISLAND-BLUE CAVE-SUBMARINE TUNNEL-OUR LADY OF THE ROCKS ISLAND-every day from the 1st of May until the 31st of October. 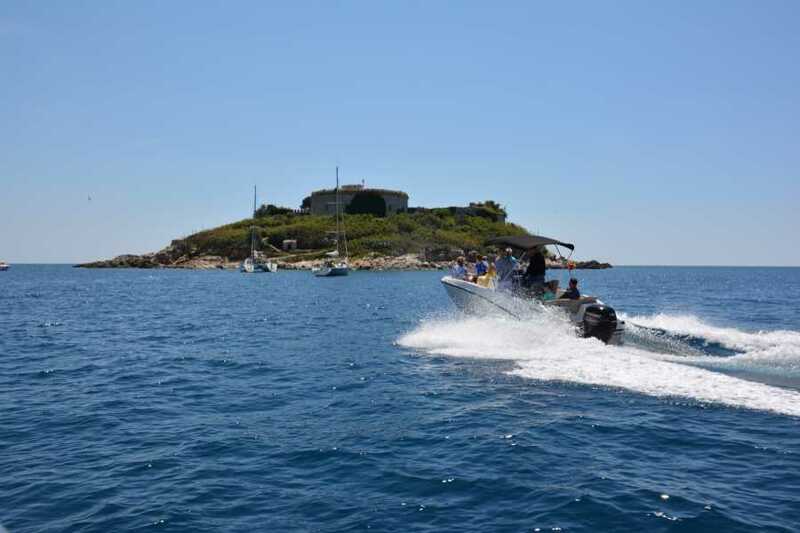 Speed Boat Tour is the perfect choice for every guest who wants to visit the famous Blue Cave, Island Mamula as well as Our Lady of the Rocks.Brand new and comfortable speed boats as well as experienced skippers make this 4 hour tour a "must" especially for the ticket price of only 30€ per person. Pay attention: this is not a guided tour. But if you want a guide on the boat or if you want to take a private tour, it is possible. Send us an e-mail at montenegrohostel.com and we will organize it. We will start in front of the tourist info kiosk (next to the Main or Sea Gate in the old town) at 11:45. The boats are located in the Port of Kotor, just 70 meters away from the meeting point. Skippers will come and lead the guests with the reservation. After boarding, we will see the Kotor Bay and Tivat Bay, on our way to the Blue Cave. That panorama ride lasts 2 hours after which we will take a nice break in the blue cave, where you can swim, or try to catch the best blue color on your camera. After the Blue Cave we will go to the Island of Mamula and Fortress of Mamula. After that visit, we will have a short ride to the ex-submarine tunnel and finally our last stop will be world famous man-made island Our Lady of The Rocks next to the city of Perast. Be aware that in summer season sun can be very intensive, so take care about your skin and health. During the speedboat ride, it is not recommended to walk on the boat. Boats are fully protected for the safety ride, according the law. All skippers are licensed. You can easily book on the booking button BOOK NOW! and make you online reservation. You don't need to print the ticket, just simply keep your reservation in your phone and show to the skipper. The cut-off time for the online booking is 2 hours before departure. After that time ticket is possible to buy at the reception of Montenegro Hostel Kotor.